This Friday is your one chance to catch a live intimate show of some new material. Joshua Madore’s band will be playing as well. Let’s drink. 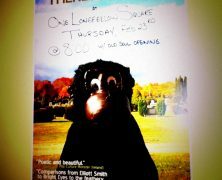 Location: Not at One Longfellow as pictured. Slainte on Preble. Date/Time: This Friday at 9PM.